In consideration of my entry in the Hip Hop International Netherlands Hip Hop Dance Championship, I for myself, my heirs, executors, administrators, and assigns hereby release, discharge and forever hold harmless the organisers of the Competition including without limitation Hip Hop International Netherlands, and their servants and agents (collectively and individually called "the Organisers") with respect to (and agree to indemnify and keep indemnified the Organisers in respect of any and all loss arising as a result of) any and all causes of action, claims (including but not limiting the generality of foregoing, claims for legal costs and consequential loss of life), which I may now have or at any time heretofore had, or at anytime therefore may have or but for the execution of this Release, Discharge and Indemnify, could have against the Organisers with respect to or in any way connected with my participation. I agree to abide and be bound by Hip Hop International Netherlands Hip Hop Dance Championship Rules and Regulations, as varied from time to time governing the Competition. I agree that the fees are non-refundable, and that we are required to promote the Hip Hop International Netherlands Hip Hop Dance Championship in our own capacity. I recognise the difficulties of participating in the Hip Hop International Netherlands Hip Hop Dance Championship and attest that I am physically fit to compete safely, have trained sufficiently and have not been advised by a qualified medical practitioner not to compete in the Hip Hop International Netherlands Hip Hop Dance Championship. 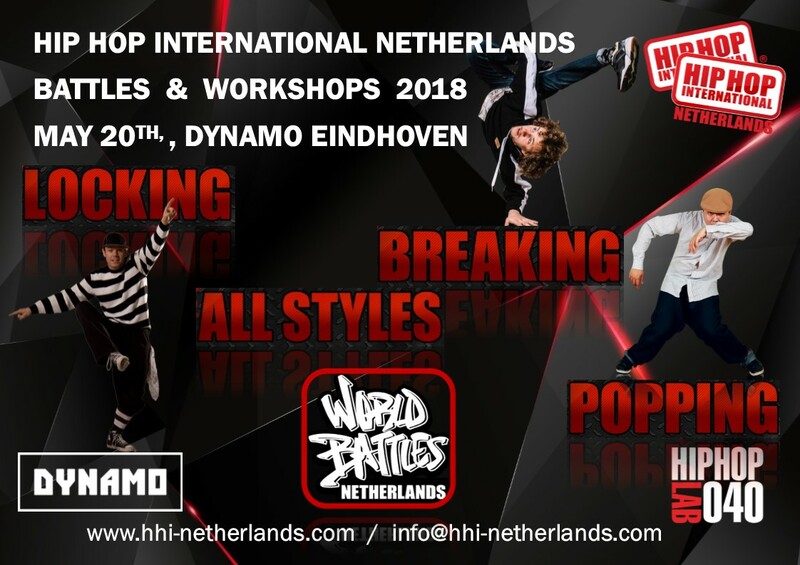 I acknowledged that the Hip Hop International Netherlands Hip Hop Dance Championship involves the real risk of serious injury from various causes including over-exertion, dehydration, accidents, spectators, just to name a few. I agree to receive and pay for medical treatment including transport by ambulance, which is considered by the Organisers to be advisable and which is provided to me at the request or direction of the Organizers before, during and after the Hip Hop International Netherlands Hip Hop Dance Championship. I understand that at this event or related activities, I may be photographed and/or videotaped. I hereby consent to you and you successors in interest, photographing me and recording my voice and performance, if any, and using my picture photograph, silhouette and other reproductions of my physical likeness and sound (as the same may appear) in any still camera photograph and/or motion picture, video tape or motion pictures in which the same may be used or incorporated, and also in the promotion exploitation and/or publicizing of any such motion picture or tape, but not limited to radio, television or theatrical motion picture or tape. I agree to allow my photo, video tape or film likeness to be used for any legitimate purpose on an irrevocable and unlimited basis by the event holders, producers, sponsors, organizers and or assigns without any compensation or payment being made for such use and further use thereof.